I can't believe that Thanksgiving is over and we're in the countdown for Christmas! One of my favorite parts of Christmas gifts are the stockings that Santa leaves. 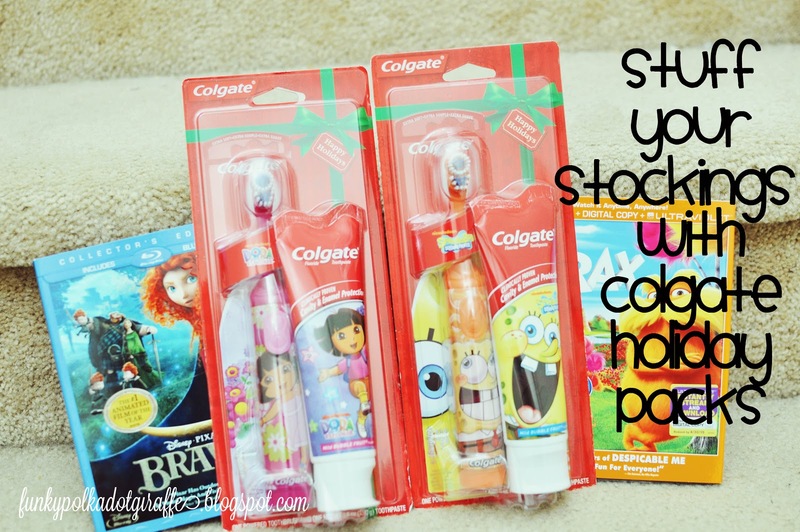 I love choosing fun things to fill the stockings with - and all of the items have to be wrapped! I usually hunt year round for the perfect stocking stufffers, but this year I've been a little lax in my search. 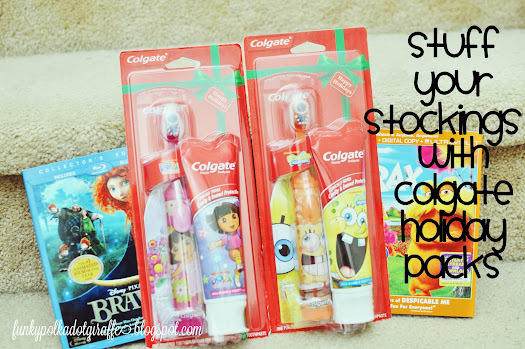 One thing I always like to include in the stockings are new toothbrushes and toothpastes. so I want them to feel like brushing their teeth is a fun and important part of each day. 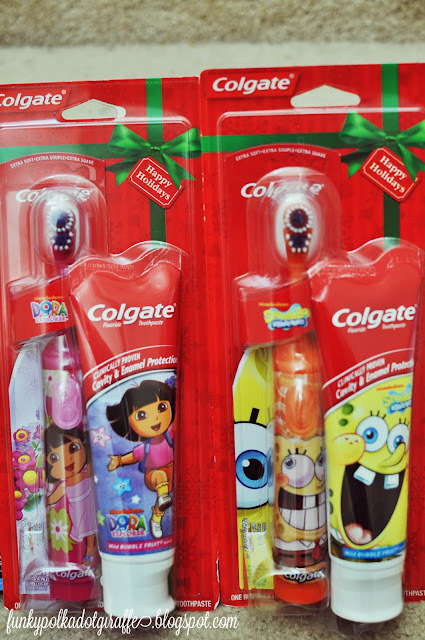 Colgate Holiday Packs for kids featuring Dora the Explorer and SpongeBob. 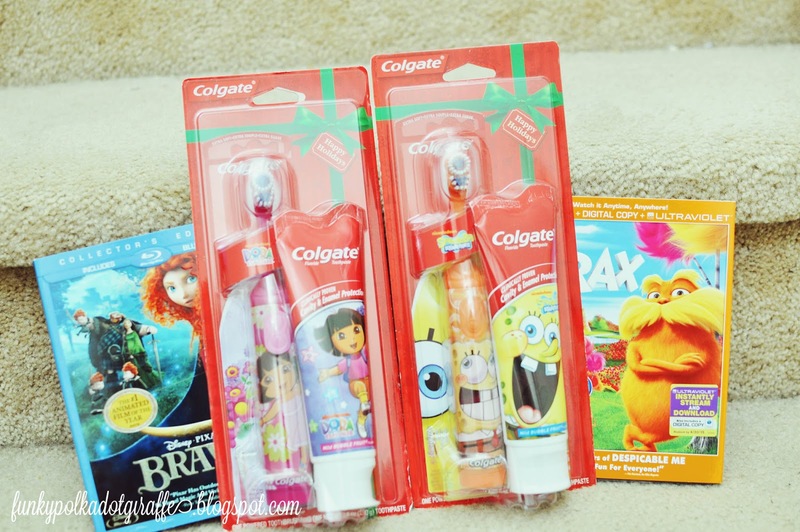 I know these favorite characters are sure to bring holiday smiles to my kids' faces! seeing their favorite characters while brushing each morning and night. to bring smiles to your little one's face on Christmas morning. 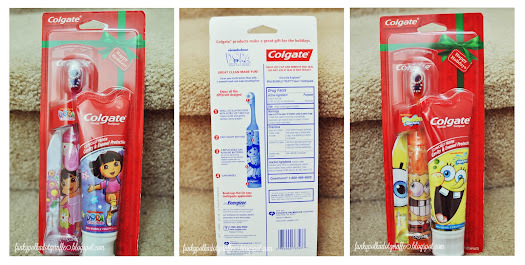 oral care to those that you love in a fun and inviting package! My stockings are shaping up quite nicely - now I just need to find the actual stockings in that endless vortex that is the garage . . . But I still have time! You can keep up with Colgate on Twitter and Facebook! I am a member of the Collective Bias™ Social Fabric® Community. This shop has been compensated as part of a social shopper insights study for Collective Bias™ and Colgate. #CBias #HolidaySmiles #SocialFabric”. All opinions are my own.